The date of construction for this iconic courthouse is difficult to track down. 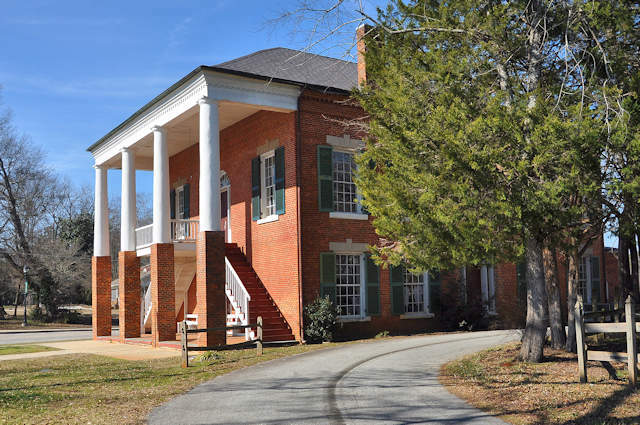 In the nomination of the property to the National Register of Historic Places in 1980, it was said to have been begun in 1860 and completed in 1875. Brothers John and Samuel Pruitt were noted as the builders. More recent scholarship (I assume) by Elizabeth B. Cooksey in the New Georgia Encylopedia notes: (the) first courthouse was built in 1863, reportedly with $6,600 in Confederate currency. Either date ensures that slave labor was integral to the construction; completion of public architecture during the Civil War seems extraordinary. Confusion aside, it’s one of the most beautiful courthouses in Georgia. Replaced by a modern courthouse on an adjacent lot in 1987, it now serves as a museum, with very limited hours. Thanks for the post Brian. This is a wonderful survivor and one of my favorites! Even when it was built it was a throwback to the past architecturally. Just before and just after the Civil War much construction tended to be in one of the eclectic ”styles” such as Italianate and gothic revival that had come into favor. 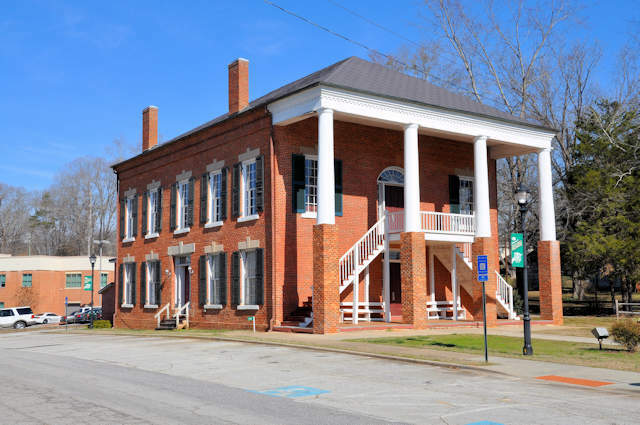 Readers might enjoy taking a look at the Old Campbell Courthouse which was built in the economically stressed first decade after the Civil War in a similar style to this building and compare them with Hancock and Walton County Courthouses which were built in the 2nd decade after the war. Amazing contrast! John Willis Pruitt, who along with his brother Samuel was one of the builders of the courthouse, was my 3rd great grandfather. I know very little about him except that family members with lazy eye seem to have inherited it from him. LOL The photo of him that is inside the old courthouse reveals that he definitely had lazy eye. John Willis Pruitt (1798-1874) was my 4th great grandfather. The building was started in 1860, but halted during the war. It resumed after to be finished in 1875. John settled in the area, but Samuel would end up in Alabama.